The family of the late A.Kugan wish to thank the team of lawyers, activists, MPs, officials from the government and NGOs, Civil Society and the PEOPLE from all walks of life for their kind assistance and attendance during their recent bereavement. They are touched by the overwhelming support and kind words from friends and strangers alike who defied all odds to turn up for Kugan’s funeral. The family takes this opportunity to invite all to join them in the 16th. day prayer on the 3rd of February, 2009 begining 7.30pm that continues till the next morning on 4th. February, 2009 and thence to a lunch at their home located at No.11, Jalan BK 2/2A, Bandar Kinrara Puchong. Thank you all for your kind attendance. yes but where will the prayers be held? I understand that the prayers will be at the house. May Kugan rest in peace. What more can i say. 16 days done by and yet no arrests made. Second postmortem findings is taking ages to be released. Whereas the first one was done in just 3 hours and released. Are they waiting for this to be another bygone issue? Well, C4 is still very much alive with us. I hope that Truth and Justice will prevail in the end! wow! has it been 16 days already? 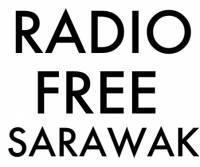 the shenanigans in perak have completely diverted people’s attention away from the issue of Kugan’s death and other more pressing issues facing all Malaysians. coincidence? i think not. thanks, Haris, for keeping this front and centre. I hope even though late Kugan’s issue is diverted to Perak political crisis, the same YB’s who supported the family during their ordeal will continue the quest to bring the suspected murders to justice. Otherwise be prepared for another citizens remains to be sent back to their kin in body bag brutalized. The 2nd postmortem is due to be released any day now. No, we the people have NOT forgotten – no matter how many distractions are thrown at us – and we are DETERMINED to remove every single hypocritical parasite from public office no matter how long it takes. Kugan, as a young man, there was so much hope for you. 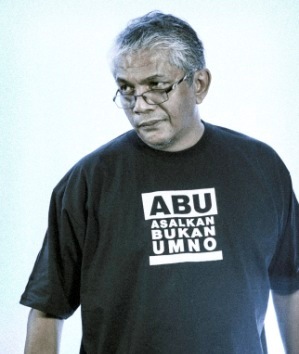 May your spirit help us clean up the PDRM – starting with that ridiculous & incompetent fool, CPO Khalid Abu Bakar. This your first time here? Will give you the benefit of the doubt and assume so and take it that’s why you’re unaware that racist, insensitive comments are not welcome here. So what I do with first-time racist commentators is to sanitise their comments and make them nice and harmless, like I’ve done with yours, so that others will not think ill of you. Next time, tho, I’ll just delete. Did I hear mommy call you and say its time to change your diapers? Better run along now. The prayers shall go for transparency,justice,fairness too.To Kugan’s family,rest asured,the voice for justice for Kugan will not rest until the Involved are put to justice. May Kugan rest in peace. May Kugan’s family rest in the assurance,there are Malaysian with you all. feeling sorry for suhaimi. if this is my blog, he is given a red card for life mate! hey haris, can i participate in the prayers with them as in giving them comfort since i’m ‘the people of the book’? I have attended many hindu funeral prayers and I have never known any to reject the participation of non-Hindus who bring with them their prayers and kind thoughts for the bereaved and the recently departed. 16 days had past yet the police is still keeping silent! Is it going to be another case like Altantuya’s cover up?! 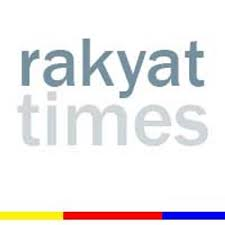 We are living in a Country once a promised land and now beginning to cause feelings of eerie too long under the reign of the barbarous regime of UMNO, flanked by the demented rabid dogs – the Royal Umno goons! May God save all of us the innocent rakyat! May Kugan’s spirit rests in peace. mr.kugan may your sould rest in peace with all the guardian angels protecting you in heaven. The police as usual are doing the same business that the indians have been crying all these while. within 3 hrs of his death the first p/mortem was issued that cause of death was fluid in his lungs and the 2nd. p/mortem is taking ages to come up with their report. Kugan was only a suspect the master minds are freely roaming around. What did the police achieve by killing this lead. They are still in their desk job but not in custody. Because the police are God’s children the privelege ones supported by the government especially our home minister. I pray for KURMA to play it’s game to punish these devoted God’s children. Yes what about the guy who was tortured with hot water. No news is not that good news. We indians play a major role in the development of Malaya/Malaysia and we demand respect with dignity. Just that we are a minority it does not mean the PM should take it that we are irrelevant. Please remember we wanted to present with the PM many memos but he ignored us and thats when Hindraf appeared and changed the entire scenario of Malaysia. As i said KURMA will take over and punish these very people who are not God fearing. Be happy and free from all pain and suffering in God’s gentle care wherever you are right now. And help guide those who are now here seeking justice for your unlawful torture and murder while in the custody of the PDRM. “Imagine Power To The People” John Lennon. May Kugan’s soul rest in peace..Om Nama Shivaya..
kugan, hope ur peace now….